This can detect a disorder before a baby is born. An ultrasound test is used to determine if the fetus is at a high or low risk from a genetic disorder. Disorders are diagnosed by examining a small amount of fetal cells. This carries a small risk to the fetus. If diagnosed early in the pregnancy, there is still the possibility of abortion. 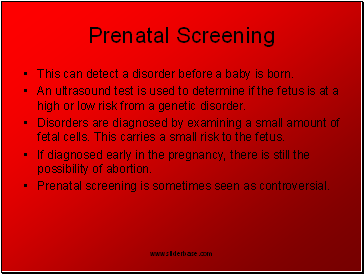 Prenatal screening is sometimes seen as controversial. Newborns are tested for diseases and early diagnoses allows for immediate treatment. 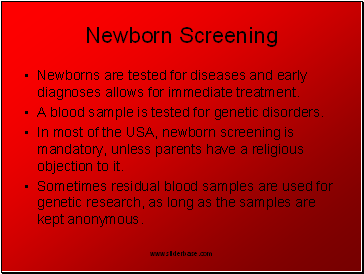 In most of the USA, newborn screening is mandatory, unless parents have a religious objection to it. Sometimes residual blood samples are used for genetic research, as long as the samples are kept anonymous. 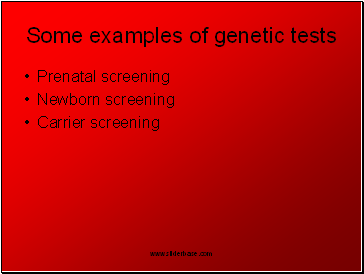 This involves testing prospective parents for diseases that they show no symptoms of, but may carry a recessive gene for. A blood sample or cheek cell sample is analysed to determine whether either parent carries a faulty gene. If both parents carry a specific faulty gene, the chance of the fetus receiving the gene from both parents is 25%, and the chance of being a carrier is 50%. 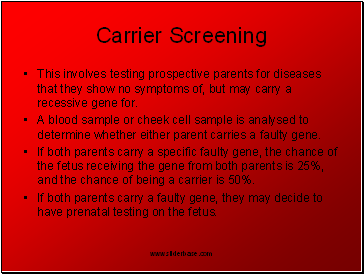 If both parents carry a faulty gene, they may decide to have prenatal testing on the fetus. 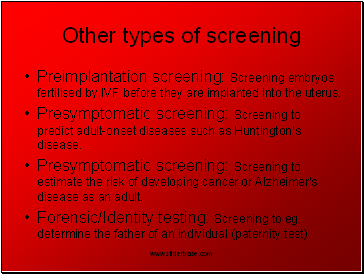 Preimplantation screening: Screening embryos fertilised by IVF before they are implanted into the uterus. 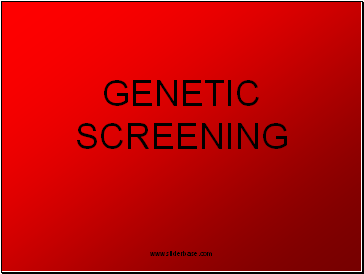 Presymptomatic screening: Screening to predict adult-onset diseases such as Huntington’s disease. 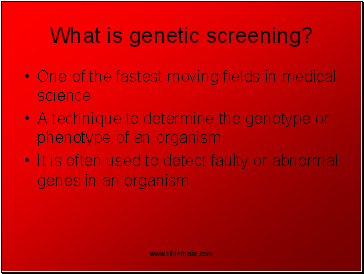 Presymptomatic screening: Screening to estimate the risk of developing cancer or Alzheimer’s disease as an adult. Forensic/Identity testing: Screening to eg. determine the father of an individual (paternity test).